In their long way of transforming raw materials into shining finite products and meeting the needs of the current market, materials and services manage to make the whole world spin around: there are stock exchanges that, through their evolution, make savings to grow and crash, sometimes politically, but often strictly economic, dictated by the market. Any business that has production units in the back is confronted with a major problem: rational and efficient sharing of resources (people, cars, materials and financial). 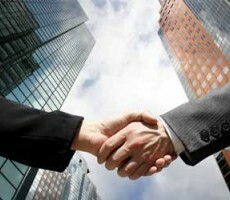 This division aims to maintain the business in a competitive environment and in a permanent change. Customers and their customers are increasingly demanding variations and flexibility, and they can only be met by maintaining and improving the price of the product or service we sell. What is Power BI? It is a Microsoft data analysis solution that uses a Self Service Business Intelligence toolkit. Even if it is an independent solution for Microsoft Excel, the tools used are also found in the spreadsheet application of the Office suite. Power BI comes with three products: Power BI Desktop, Power BI Service and Power BI Mobile. December 11th, 2018, Deloitte Office, London – in front of an highly interested audience, which was also bearing worries related to the consequences of the fast-approaching Brexit, CEN/TS 17091:2018 was officially released. 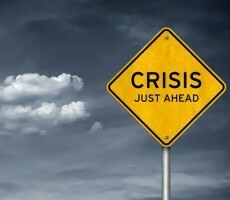 The standard aims to bring out directions and steps for crisis management, regardless the size and complexity of the organisations and their activities. On March 16, 2018, Effective Flux organized the interactive workshop "Optimizing and Quality for Your Business". 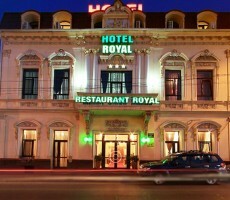 The session took place at the Continental Forum Hotel in Arad. The Practical Seminar has been geared towards leading companies and was an excellent opportunity to understand how we can become more productive without large investments, but also for networking. - Value Added. Waste identification. Techniques to reduce waste. 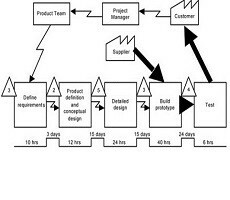 Lean production systems. Implementation. - The quality. Efficacy vs. Efficiency. 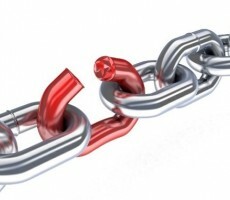 Quality Link - Lean Production System. 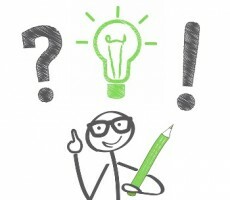 - Common Problem Solving Techniques: 5 What, Ishikawa, Brainstorming, PDCA, 8D, Six Sigma. Advantages and disadvantages in use. The members of the 11 companies in Arad and Timisoara attending the event offered positive feedback at the end of the session. We look forward to the following events organized by Effective Flux. On 29.11.2017, Effective Flux with the support of the Iasi Chamber of Commerce and Industry organized the workshop "Optimization and Quality for Your Business". 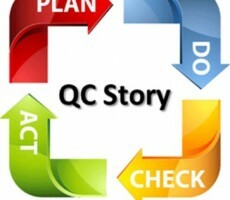 QC story is a systematic methodology commonly used in practical procedures and practical methods of problem solving in team. It appeared at the Seisakusho Li Tianjin plant, which is in Komatsu, Ishikawa in Japan and has developed continuously, Its merits being recognized in "Journal of Quality Vol. 23, no. 1 (2016). Data collection is usually the most time consuming process and the most resources in the measuring process. This step is very important because the quality of this will have an impact on the following decision-making process, in particular to the analysis of the data. Data collection plan is a document that makes us sure that all team members speak about the same parameters, that information is properly transmitted to people in the organization in order to receive and collect the exactly data needed. What do we measure? With what types of data we work? What kind of data are available? In the production process, machines, peoples, materials, methods and environment lead to fluctuations in the results accuracy. Normal fluctuations have less impact on product quality and it is technically inevitable but abnormal fluctuations has more impact and lead to defects. SPC – Statistical process control is a process control methodology using statistical methods and was invented for the first time using control charts at 1924 at Bell Laboratories in USA. 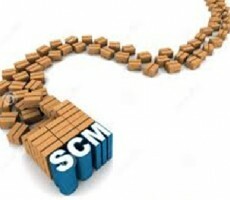 SPC is widely applied to Quality Management. Since there SPC was developed and continue to produce many kinds of new methods in practice. There is many statistical software on the market which provide for different kinds of solutions - MINITAB, Statgraphics, JMP/SAS, SPSS, Statistics and Q-DAS. 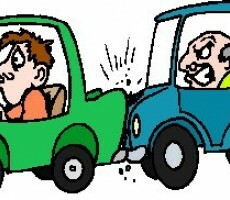 Problems are seen in everyday life as a real pain and something to be avoided by fair means or foul. In business, problems can lead to low productivity, poor quality, high costs and ultimately loss of customers if the problems are not dealt with rapidity and totally prevented reappearance. When referring to methodologies for solving problems and not to the tools themselves, here are the most common methods for solving problems: PDCA, Six Sigma (DMAIC), 8D. PDCA is a methodology of solving problems through Plan (Planning) - Do (Execute, Deploy) - Check (Verify) - Act (take Action). 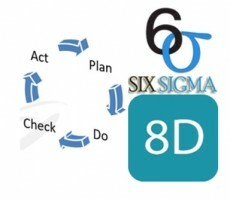 Six Sigma is a data-driven systematic approach methodology DMAIC - Define, Measure, Analyze, Improve, Control to improve an existing process and 8D is a methodology for solving problems in 8 steps (8 Disciplines). Between the managerial processes components of quality management, continuous quality improvement has a dominant role in reducing costs and in the economic growth of organizations. Continuous improvement refers primarily to improve the process and is used to identify, analyze and improve existing processes in an organization to achieve goals and objectives. There is a large variety of methods to apply in improvement projects. Their various possible permutations can make it difficult for a company to choose the best approach for its project-related and organizational characteristics. Solving problems, starting with the simplest and ending with the organizational desire to become a world - class organization drives to implementation of some improvement methods which increase competitiveness and help companies to satisfy their customers. Six Sigma, 8D, PDCA (Plan-Do-Check-Act), Ishikawa (Fish Bone), 5Why - are among the most popular methods which can guide and support an organization’s improvement projects and can been selected as improvement methods. Examples of measurable indicators for the specific activity of transport can be: primary energy intensity, CO2 intensity, efficiency of the power plants, specific energy consumption, etc. 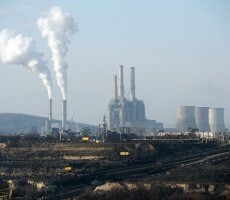 An example of a successful project using Six Sigma is “Reducing sulfur oxide emissions from burning coal in power plants “. This project solved the problem of streamline of activities and reduce the negative influence of environment. 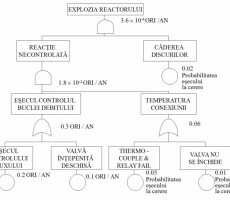 The key indicator which give the performance of the process and choose to be improved is %SO2 from the flue gases (%SO2). 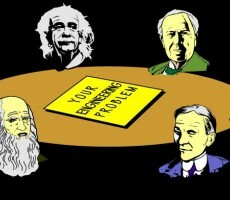 In defining the problem, the process is identified and the team which will work on this project. 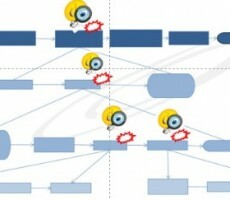 Specific tools this phase (Define) for this case can be: process map and collect voice of customer VOC. Examples of measurable indicators for the specific activity of transport of energy can be: Quantity of electricity delivered, coefficient of losses, average unavailability in time of facilities, line length unavailable for event, transformer / auto transformer nominal apparent power (MVA), the duration (time in hours) of unavailability to the event, etc. An example of a successful project using Six Sigma is “decrease downtime “. 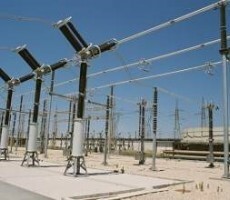 The key indicator which give the performance of the process and choose to be improved is downtime (Ti), in other words it's time due to electricity power failures. In defining the problem, the process is identified and the team which will work on this project. Specific tools this phase (Define) for this case can be: process map and collect voice of customer VOC. Aquisition process, like any process, is composed of a sequence of operations that transform inputs into outputs and adds value. When we talk about entries we think of course about suppliers and performance of their products, including their evaluation, which is also an IATF 16949 standard requirement. Therefore, evaluating of suppliers and monitoring their performance are the main actions, through we can make the exit or exits from our production process to be performants. The training process is a complex process that begins with a theoretical part but which ultimately focuses on putting it into practice. The most conclusive example is the development of an 8D Report based on the knowledge gained in 8D courses, building statistical control charts after the Statistical Process Control courses or Gage R & R study after attending the Measurement System Analysis courses. Moderating Workshops course contains guidelines and tools that can be used successfully in the application of the tools and knowledge gained, focuses on solving problems and requires the involvement of participants in acquiring certain skills to be used later in daily job activities. Six Sigma can help to improve services provided by the administration or to reduce costs and compliance with the budgets granted. Examples of measurable indicators can be: time of deliver of a service (example an approval of document of urbanism), time for fulfillment of some objectives, % of objectives fulflled from total, time for invoices payment, etc. For example: A Six Sigma project could be "Reducing the time of issuing the building permit." This process goes through several phases: documentation, studies, opinions, choices, options, deliberations. The key indicator which give the performance of the process and choosed to be improved is time for releasing the authorization (TEA). For this, first we define the problem, identifies the process and team to work on the project. Specific tools of this phase (Define) for this case can be: Map process and collecting the Voice of the Customer. The food industry is extremely complex. This industry has some features linked by the nature of the raw materials processed and the finished products obtained. Raw materials are mostly biological products, perishable and degradable. 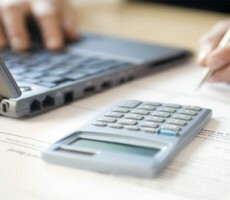 Starting from here we can conclude the need for improvements that can be done with Six Sigma. Six Sigma is a data-driven systematic approach. 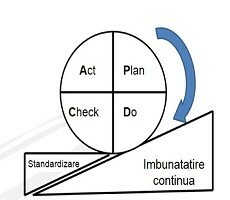 DMAIC methodology - Define, Measure, Analyze, Improve & Control is used to improve the existing process. 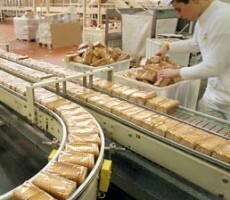 An example of a successful project using Six Sigma in the food industry is "Reducing complaints for butter manufacturing”. Butter is one of the most important milk products for human consumption, being the animal fat with the highest digestibility. Butter composition is mainly represented by fat (80-82%), water (15.6 to 17.6%), protein, calcium and phosphorus (about 1.2%). Many of us have heard about farms, stories about traditional diets, about long forgotten recipes in an actual kitchen increasingly assault by "flavor of the supermarket". 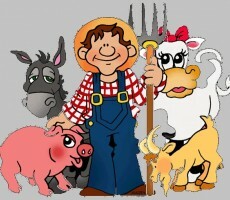 Farms are a complex area, with a major impact on human health and the environment, on the rural economy and society as a whole. An example of a successful project in a farm is using Six Sigma is "Increase of integral milk sales". In first phase, Define, was found that in the shop from the village some customers talk that "the milk from you has sometimes taste bitter or sour - sometimes from day to day " or "color seems to be different" – was heard the voice of the customer (VOC). For these reasons demand was increasingly smaller. Quantity required was delivered to the store, the remainder being used as food for other animals. 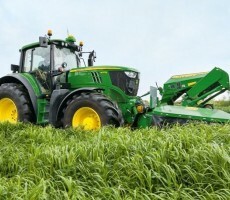 Agriculture is the science, art or practice that deals with the production of plant and animal food, fiber or useful materials through the systematic cultivation of certain plants. In agriculture, there are many parameters that can be measured: Soil type, previous plant, crop rotation, fertilizer application, tillage, seed treatment, the optimal time of sowing, optimal seeding density, crop maintenance works (irrigation, mechanization), storage and preservation, etc. 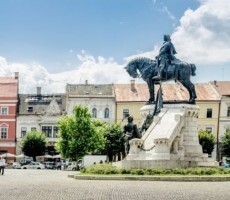 Only food mentioned in the Our Father - the most important prayer of the Christian universe, the bread has a special importance for Romanian and beyond. Bread is a basic food produced by baking dough made from wheat flour mixed with water and yeast. 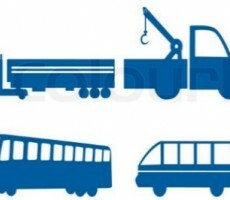 In the current competitive market, many transport companies offer the same services of person transport. The main distinguishing factor in front of users is, most of the time, the quality of these services. Six Sigma can help improve the quality in person transport. Six Sigma is a data driven process improvement methodology based on DMAIC cycle (Define – Measure-Analyze – Improve – Control). Examples of measurable indicators for the specific activity of transport could be: time of travel; workload of the transport vehicle; specific cost of transport as example the cost per km; the number of passengers transported in a certain period; daily average distance, etc. An example of a successful project using Six Sigma is "Increasing the number of passengers per day on the route x". The key indicator which give the performance of the process and choose to be improved is daily average of number of passengers (C). Acquisition process, like any process, is composed of a sequence of operations that transform inputs into outputs and adds value. When we talk about entries we think of course about suppliers and performance of their products, including their evaluation. 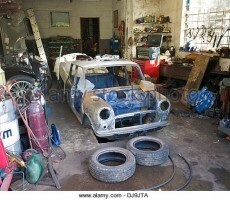 Evaluating is ISO 9001 or 16949 IATF requirement. 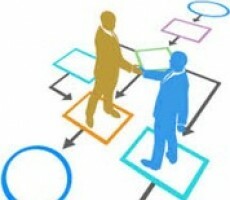 Six Sigma is a 5 steps methodology (Define - Measure - Improve - Control) and can help in improving the acquisition process. Six Sigma can help improve courier services that provide transport activities, parcel transport, that means transport and postal activities. Examples of measurable indicators can be: rate of delays in delivery, number or rate of human error, income and expenses on cost centers and cost, fast reaction times. For example: A Six Sigma project could be "Increase customer satisfaction". The key indicator which give the performance of the process is index of customer satisfaction (S) and it is measured on a scale from 1 to 5, 5 is very satisfied customer. 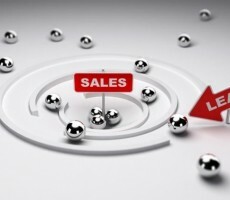 According with Pareto's Rule (80/20) in retail is not wrong to say that 80% of sales come from 20% of your inventory. 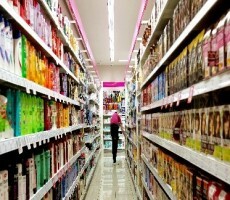 Starting from this principle we can think about how to apply continuous improvement in retail sales. Can be used also Six Sigma methodology. Few people know that Bob Hayes went under 10 seconds in the 100 meters race at the Olympic Games in Tokyo in 1964. The record now is 9.58 seconds which was run by Usain Bolt. Also in sport we can use improvement techniques like Six Sigma. 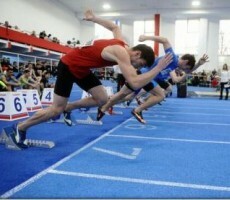 An example of a successful project using Six Sigma was "Improving running time in the 100 m / Athletics". The key indicator which give the performance of the process and choose to be improved is running time until the completion (T). Examples of measurable indicators in transport activity can be: average transport distance (D); loading of truck (G%); specific cost of the delivery by example cost per km (p); tonnage per axle (T); productivity (P), etc. Here is an example of successfully using Six Sigma: “Increased productivity of transportation”. 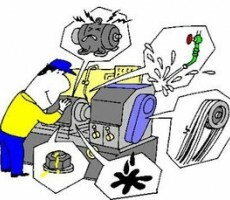 The key indicator which give the performance of the process is P / Productivity (tons x km/tons capacity). This indicator should be as big as possible and it is critical for cost reduction. For the textile industry, quality of is essential and diversity of products is the same a critical concern. The textile industry is an area with lots of variations and defects in manufacturing processes. So, applying Six Sigma is a must for this area. 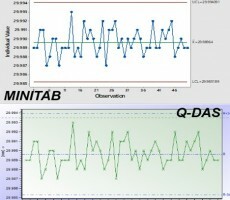 An example of a successful project using Six Sigma is "Reducing the variations that occur during the seam of perimeter”. The key indicator which give the performance of the process is seam allowance, which is the distance from the seam to the parts sewn edge. 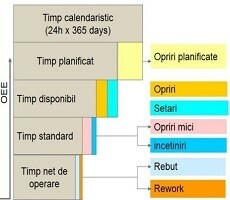 In Define phase was studied process (flowchart), Voice of the Customer, Project Map and other specific tools. Here is an example of successfully using Six Sigma: “Reducing stopping lines time caused by logistical problems”. The key indicator which give the performance of the process is Y% - the percentage of stops caused by logistics errors reported to total available (Td). 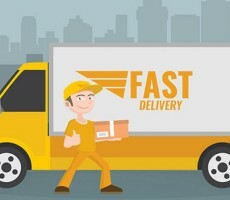 This indicator should be as small as possible and it is critical for customer satisfaction (delivery time) and for cost reduction in the same time. In Define is identify and study the process and select the team that will work on the project. Specific tools of this phase can be: Map process and collecting the Voice of the Customer. Data are collecting and measure downtime (Tm), then calculate the ratio % Y = Tm / Td * 100 and their variation in time and the parameters that would influence it, x-s (Measure phase). 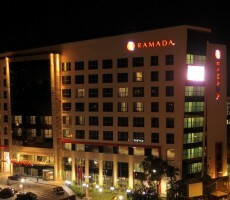 Here is an example of successfully project using Six Sigma used to improve activity in hotels. Project name is “Increase customer satisfaction”. The Define was studied process (process map), was established the team to work on this project and have listened to the voice of customers, VOC. The key indicator which give the performance of the process was choose “Customer satisfaction” noted with Cs. A questionnaire with 10 questions was used and data were collected for 2 months (Measurement). Variables collected were: the waiting time in reception until receiving room, the type of breakfast (Swedish or simple), the cleanliness of the rooms, Wi-Fi, transportation from airport to hotel, air conditioning in rooms, safe in rooms, parking, etc. Identification of factors which influence cash flow was done by Ishikawa diagram. Fault Tree Analysis was developed by Bell Telephone laboratories in 1962 for U.S. Air Force and later adopted and extensively used by Boeing Company. Fault Tree Analysis is in fact a technique by which many events that interact to produce other events can be related using simple logical relationship. This technique follow a top - down structure and represent graphical model of the pathways within a system between basic events that can lead to a foreseeable loss event (or a failure) referred to as the top event. The logic symbols the most used are AND, OR, etc. – and these symbols are connected by gates. Events that must coexist to cause the top event are described using the AND relationship. Alternate events that can individually cause the top event are described using OR relationship. Despite its name, the Theory of Constraints is not actualy theoretical, but rather helps in finding practical and effective solutions to complex and real business problems. The cornerstone of TOC is systematically laser-focusing efforts, resources and attention on the “system constraint”, i.e. the bottleneck that restricts the output of the entire system and, in the same time, represents the most relevant leverage point for improving the system. 2. Never accept compromise when dealing with contradictions. Resolve them. TRIZ was developed by G.S. Altshuller and his colleagues between 1946 and 1985 in the former USSR and its fundamental assumption is that, basically, creativity is not something spontaneous and intuitive, but can be a systematic process that relies on the study of the patterns of previous problems and their solutions. More than 3 million patents were analyzed to identify the patterns that predict breakthrough solutions to various problems. Six Sigma enables hospitals and other medical institutions to improve patient safety and satisfaction by improving both medical and administrative performance. 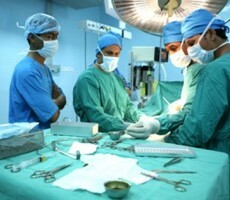 A hospital in Holland, was experiencing long delays of planned surgery and therefore patient dissatisfaction, due to inefficient use of the Operating Theaters. As this situation was a major concern, the hospital doctors and the management team were searching for a solution. As Operating Theaters (OTs) are expensive and capacity-limiting facilities, a Six Sigma project was launched to identify root causes for poor utilization. A Six Sigma project was launched to identify root causes for poor maintenance process performance. The goal was to reduce the total number of defects (TND) by 5% and the global breakdown time (GBT) by 10%. Lean is a business and process optimization philosophy based on 5 principles: define value, map the value stream, make value flow, establish pull and continuously improve to perfection. Applying lean reduces waste and enhances people creativity and engagement. It was first applied in car manufacturing at Toyota (Japanese car manufacturer) as TPS (Toyota Production System) and subsequently spread to all business sectors, including industrial services, financial services, logistics, human resources, public services, and even in household activities. Lean methodology may be successfully applied in a garage workshop providing significant processes streamlining and hence reduced time for repair (TFR). Six Sigma enables companies to improve marketing’s strategic, tactical and operational processes: let us take as example improving the quality of leads generated by a company website. A company used its website as a lead generation machine, allowing visitors to download whitepapers and software demonstration copies (over 200,000 per year). For each downloaded item, a lead was sent to the company’s call center – however, the CEO was frustrated with the low conversion rate (CR) of those links – less than 1%. Six Sigma enables insurance companies to improve customer satisfaction by reducing the Lead Time (LT) for claim resolution. 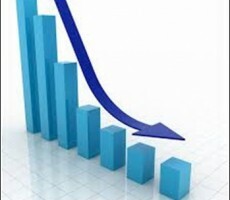 An insurance company, active in the Property and Casualty (P&C) business was losing market share as a result of an increasing number of defecting customers (customers leaving the company). As this situation may force the company out of business, the CEO and the management team were searching for a solution. Six Sigma enables schools, universities and other educational institutions to improve student knowledge, skills and satisfaction by improving both educational and administrative process performance. 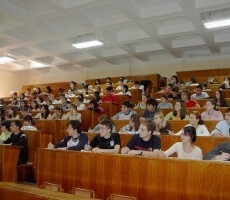 A US University, was experiencing difficulties and long delays in defining and approving the new course and curriculum, resulting in both professors’ and students’ frustration and dissatisfaction. As this situation was a major concern, the university management team commenced searching for a solution. 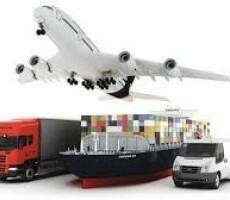 Transport and distribution are the circulatory system of any business, with direct implications in supplier performance to customers, being some of the critical points in Logistics and are some of the measurable indicators which show the ability of a supplier to render quality and competitive services. Transport costs take 5-10% from the capital circulated by a company meaning they have an important impact on the final profitability of the products and services sold. From this amount, for road transports, the expenses divide into: fuel 40%, personnel 15-20%, taxes 10-15% and carrier profit 25-35%. Based on this percentage split we can understand that carrier selction process weighs very much into the final transport cost. Remember: a low price does not mean a low cost! KANBAN is a LEAN supply and organizing system for materials. 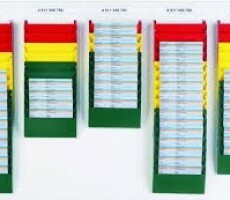 KANBAN system represents a way of ordering based on an order signal, considered start of the order, based on which a pre-established quantity is delivered. There is physical KANBAN where the order signal is a physical object (card, box) and there is EKANBAN where the signal is an information sent through and ERP system between customer and supplier (label/scanning). In an ever-changing market, in an extremely flexible business environment in terms of customer demand and prefferences, where the need of new product research and development grows more and more, appears the need to make available as much as possible of the business cashflow. Generally industries hold in their stocks (raw materials, subassemblies and finished goods) between 45% to 75% from the total capital. 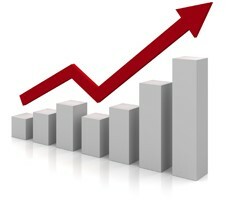 Therefore the necessity of an efficient control of the stocks levels. Materials’ scanning systems represent the natural tendency of all industries in their attempt to control the level and accuracy of stocks as well as corectness of transfer and transformation operations of materials. 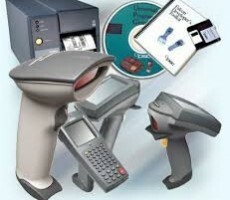 Scanning systems are critical for industries using a large number of raw materials and producing a large number of finished goods. Without scanning systems storage and handling of a largu number of materials becomes very slow and subject of human errors. Implementation of scanning systems needs initial investment for purchasing of the equipment and training of the personnel. 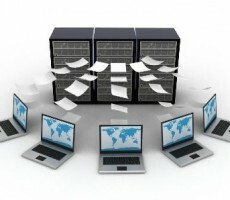 Storage space defining and dimensioning is a real challenge for any type of business. Storage space defining has to take into consideration the materials that will use the space (type, dimensions, packaging), the types of procurement and deliveries, the type of production and the resources both material and human available. Storage space dimensioning has to take into consideration the defined type of warehousing (with or without safety stocks), type of production (PUSH or PULL) as well as long and medium-term Forecast and market development (for both raw materials and finished goods). 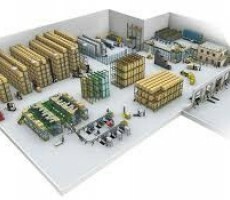 Designing materials’ warehouses means arranging a space (existing or which will be built) to efficiently and profitably serve for storage and all warehousing operations of materials stocks (raw materials, subassemblies and finished goods). 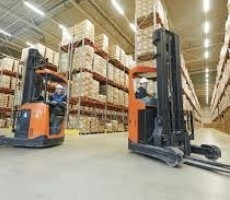 Advanced planning of operations is done by checking a company’s histroy and experience in materials warehousing, taking into consideration materials specifics (dimensions, stacking possibilities, dangerous materials, etc.) 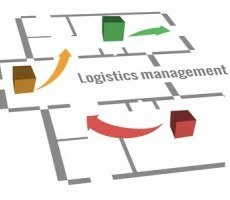 space constraints, forecasted volumes’ fluctuations si health and safety regulations specific for the country where the warehouse is built or established. 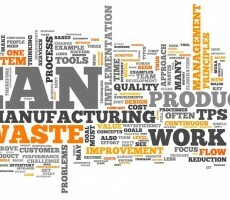 VSM is a tool Lean value stream mapping within an organization, areas, sections or production line, can approach suppliers, customers or other factories from the group. VSM is a visual representation of the process flow and the information within it, information about indicators of production, quality, maintenance, process, visual communication tool able to identify and support the elimination of losses. By a clear picture, as long as it is real, VSM underline the problems, and help identify improvement potential. Kaizen is a concept that teach us how we can improve by small but constant steps, the professional activity of employees or a company, but also with an impact in personal life. Kaizen is a Japanese word, which means "good change", change that if is supported leads to continuous improvement of productivity, level of quality, commitment and motivation of employees, which can make the difference in the development of a company or her disappearance. One equipment 100% efficient should produce 100% of the time available, 100% in the designed parameters, and 100% conform parts with the specifications. To measure that there is an indicator called OEE, which is an indicator of performance equipment, which follows the overall effectiveness of the equipment. To calculate OEE, will take into account the availability of equipment, equipment performance and quality process results.